BIO-VITASTRESS is a special water-soluble supplement containing multivitamins, minerals, amino acids, and electrolytes. 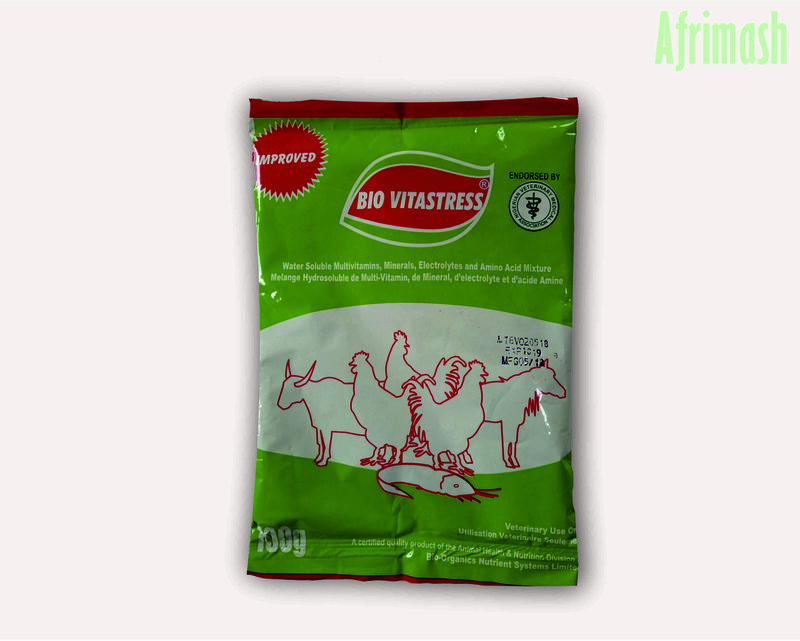 BIO-VITASTRESS has been proven to provide continuous nutritional support as well as reduce stress in poultry and livestock. With added electrolytes (sodium and potassium chloride) for enhanced performance, osmoregulation, detoxification of systems and improved shell quality. For improved performance, hatch-ability and rapid growth. 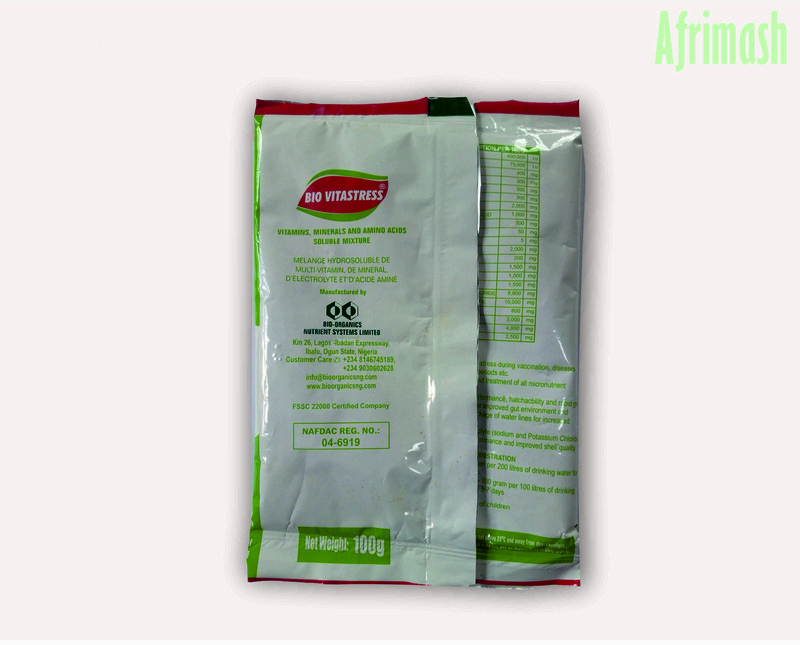 Contains amino acids which increase the protein supply and improve the efficiency of animal protein production especially during disease conditions. 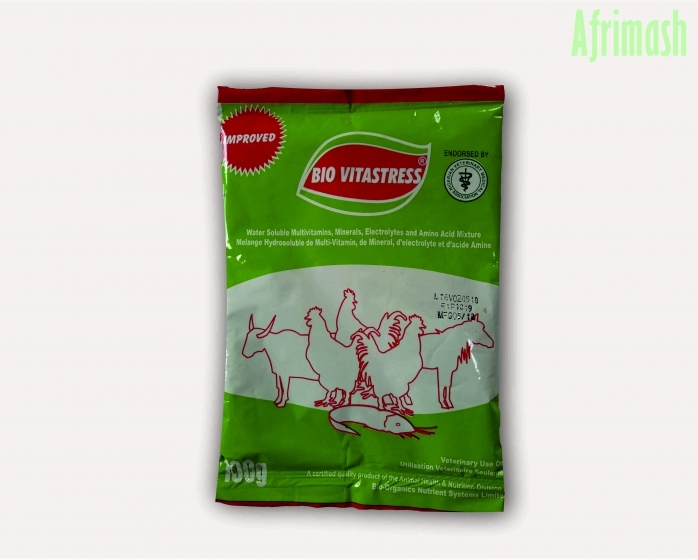 Poultry – 100g per 200 liters of drinking water for 5-7 days. Other animals– 100g per 100 liters of drinking water for 5 – 7 days.